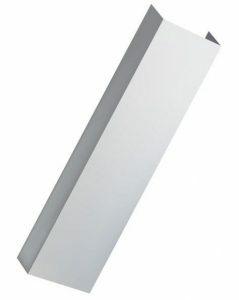 The THRIFTY FLAME STOP “G” is a 1″ thick baffle filter, designed with two layers of baffles to allow for drainage of the grease into a collecting trough below. Because of the Hot Dip Galvanized Steel used and the design of the baffles, grease buildup is eliminated, keeping the possibility of flame penetration to an absolute minimum. Prime quality rust resistant zinc coated Galvanized Steel is used for both utility and beauty. CONSTRUCTION: Made from Hot Dip, 24 Gauge Galvanized Steel, with a spangled finish. The baffles are uniquely designed by a press, giving them the exact distance from one baffle to the next. Each pad of baffles are in one piece, pressed from Galvanized Steel coils into the baffle shape. Two of these pads are put together to make the inside of the THRIFTY FLAME STOP “G”. 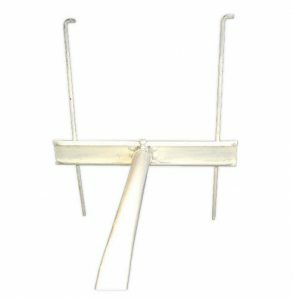 One piece frame shall be made from 24 gauge Hot Dip G-90 Galvanized Steel, roll formed to give it extra strength and the frame is secured with rivets on one end. CLEANABILITY: The THRIFTY FLAME STOP “G” holds up through numerous cleanings. 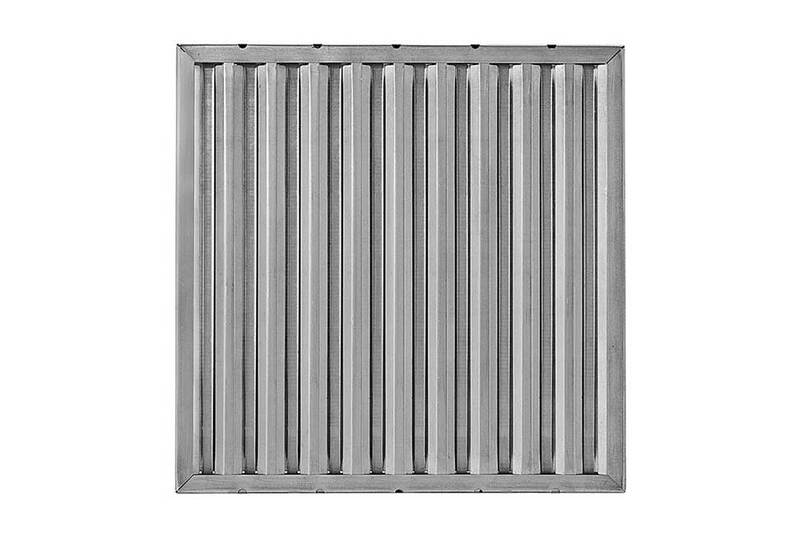 The baffle design allows for easy cleaning of the baffle filter by either a high-pressure washer or a steam cleaner. Drain holes at the corners allow for easy drainage after washing as well as grease drainage. Under extremely high heat conditions, some charring of grease may occur. This can be removed with frequent cleanings or cleaning compounds.